The information related to the Marriott Bonvoy Boundless™ Credit Card from Chase has been collected by Money Crashers and has not been reviewed or provided by the issuer of this card. The Marriott Bonvoy Boundless™ Credit Card from Chase is a popular hotel credit card that carries an $95 annual fee. It earns rewards that can be redeemed for stays at more than 6,000 Marriott-owned hotel and resort properties worldwide. Points accumulate fastest on purchases made at Marriott Bonvoy properties and partner hotels, but also grow nicely on airfare, car rental, and restaurant spending. 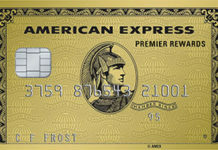 Plus, this card has an attractive sign-up bonus that’s potentially worth more than $500. The Boundless Card’s main competitors are other hotel-specific rewards credit cards, including IHG Rewards Club Premier and Citi Hilton Honors Reserve. It also competes less directly with general purpose travel credit cards, such as the Chase Sapphire Preferred® Card and the Capital One Venture Rewards Credit Card, and airline rewards credit cards, some of which have reciprocal relationships and point transfer agreements with hotel cards. Before applying for this card, confirm with Chase that you’re eligible. Some prior Marriott-family cardholders may be excluded from eligibility. When you spend at least $3,000 within 3 months of opening your account, you get 75,000 bonus points. This is equal to as many as 13 free nights at budget-friendly Marriott Bonvoy hotels. The Boundless Card earns an unlimited 6 points per $1 spent at all participating Marriott Bonvoy properties and 2 points per $1 spent on all other eligible purchases. There’s no limit to the number of points you can earn. Points can be redeemed for free nights at participating Marriott Bonvoy hotels, starting at 7,500 points per night for budget-friendly Category 1 hotels and ranging up to 85,000 points for pricey Category 8 properties, subject to change at the company’s discretion. If you don’t have enough points to redeem for a full free night, you can combine cash and points to reduce the cost of a night’s stay at participating properties. Other redemption options include airfare and car rentals made with participating partners. Redemption ratios and other restrictions may vary at the discretion of Marriott and its partners. Every year you remain a cardholder in good standing, you get one free hotel night at any participating Marriott Bonvoy that requires fewer than 35,000 points per night. As a Marriott Bonvoy Boundless™ Credit Card from Chase holder, you automatically receive 15 Elite Night credits each calendar year, accelerating your progress toward higher loyalty statuses. For reference, Gold Elite Status normally requires 25 qualifying nights to attain, while Platinum Elite Status requires 50 qualifying nights. No matter how many nights you stay each calendar year, you automatically enjoy Marriott Silver Elite status as long as you remain a cardmember in good standing. The annual fee is $95. There is no foreign transaction fee. Balance transfers cost the greater of $5 or 5% and cash advances cost the greater of $10 or 5%. This card requires good to excellent credit. Any notable credit blemishes are likely to be disqualifying. Lots of Ways to Earn Points. The Marriott Bonvoy Boundless™ Credit Card from Chase offers plenty of ways to earn rewards points. The 6 points per $1 spent at Marriott and partner properties is par for the course, but the 2 points per $1 spent on all other purchases is a big deal that sets this card apart from most competitors. No Foreign Transaction Fee. This card doesn’t come with a foreign transaction fee – a nice perk for international travelers, especially in light of Marriott’s extensive overseas presence. Can Combine Points and Cash at Redemption. If you don’t have enough points to qualify for a free night, you can combine cash and points to subsidize your nightly rates. That may mean upgrading to a nicer hotel faster, and with less expense than would otherwise be required. Strong Sign-up Bonus. When you spend at least $3,000 in the first 3 months, you get 75,000 bonus points – enough to redeem for 13 free nights at the lowest-priced Marriott properties. Free Award Night Every Year. As long as you remain a cardholder in good standing, you’ll enjoy a free award night every year at any property requiring 35,000 points or less to redeem for a free night. If you’re looking to splurge on a luxury night that you’d otherwise want to avoid, this is your ticket. Automatic Silver Elite Status. This card comes with automatic Silver Elite Status, benefits of which include a 10% boost on base point earnings and guaranteed reservations. That’s not bad for less than $100 per year. Fewer Redemption Options Than Some Competitors. The Marriott Bonvoy Boundless™ Credit Card’s redemption options are great for cardholders who like to stay at Marriott hotels, but not great for those who wish to redeem elsewhere. If you prefer a credit card that lets you redeem for virtually any travel purchases, or even general merchandise and cash equivalents that have nothing to do with travel, opt for the Chase Sapphire Preferred® Card instead. Costly to Attain Higher Elite Status Levels. Though this card automatically confers Marriott Silver Elite status, you have to work hard – and spend a lot – to achieve Gold ($35,000 spend). That’s not always the case with comparable hotel rewards credit cards. Hotel- and airline-specific credit cards often accelerate users toward coveted elite or preferred statuses, which typically offer financial benefits, exclusive conveniences, and creature comforts at hotels, in airports, and in the air. If you regularly stay at Marriott or partner properties, you’re likely to appreciate the fact that your Marriott Bonvoy Boundless™ Credit Card from Chase automatically qualifies you for Silver Elite status. If you don’t often stay at Marriott hotels, or any hotels at all, this benefit isn’t likely to excite you. Budget-conscious or hotel-agnostic travelers often do better with general-purpose travel cards, such as Chase Sapphire Preferred®, than cards that fit them into a particular brand’s box. Make sure you know where you fall before applying for this or any other travel rewards credit card. The Marriott Bonvoy Boundless™ Credit Card from Chase is a great asset for frequent domestic and international travelers who accumulate and redeem rewards quickly enough to offset the $95 annual fee, who prefer staying at Marriott-branded properties, and who enjoy redeeming accumulated points for hotel stays. The across-the-board double-point earnings on all qualifying purchases, lack of foreign transaction fees, and potentially valuable points are all pluses of this card. Drawbacks include fewer redemption options than some other cards and the effort and cost needed to attain higher status levels.